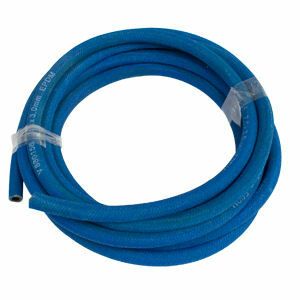 Blue VW Brake Reservoir Hose. This is the special (for brake fluid) 7mm Brake Reservoir Hose that runs from the late model reservoirs down to the Master Cylinders. Hose is sold by the foot. Please order your quantity in feet. (Ex: if you want 12" then order 1) Also available in a 5 meter roll (Approx. 196") Click more info to choose yours.